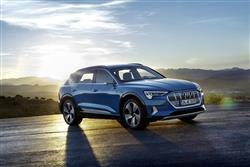 Car and Driving's Independent New Review of the Audi E-Tron Range. 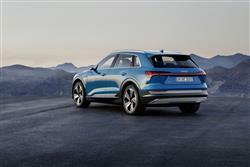 Audi’s E-tron shows its rivals how to do a fully electric large SUV. Jonathan Crouch takes a look. 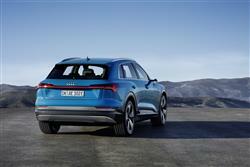 Wisely perhaps, Audi has taken its time in creating its first fully electric car. Ingolstadt has sat and watched others battle with inferior battery technology. Only now has it acted to try and redefine the standard when it comes to this kind of technology and the result is the Audi E-tron. Unsurprisingly, it’s an SUV, an obvious genre choice, first because that’s what the world’s most lucrative markets now most want these days - and second because a Crossover’s high-set practical body shape provides plenty pf space to squirrel away all the electrified engineering without it intruding into passenger room in the cabin. 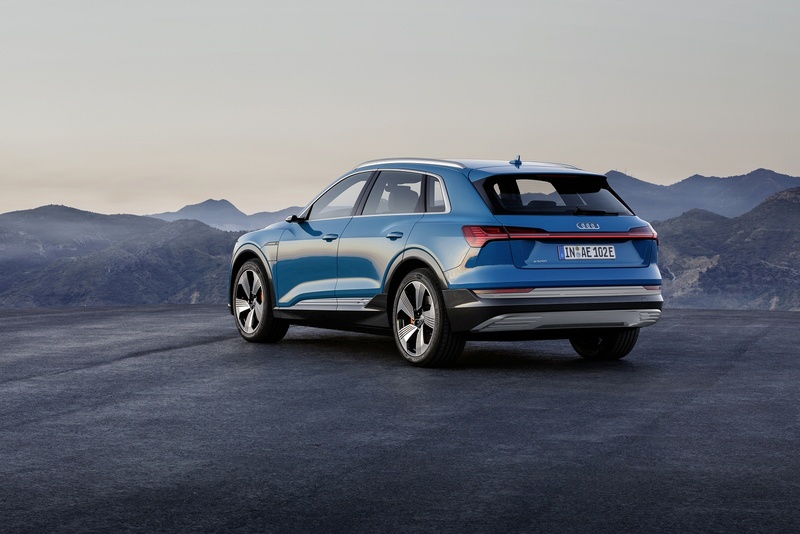 The liquid-cooled 95kWh lithium-ion battery delivers a WLTP-rated 249 miles of range and the E-tron drives, Audi says, like a car, not some kind of automotive appliance. Which is nice. Electric cars may have come on quite a lot since you last looked. With this one, there’s an electric driveline with two asynchronous motors, one up-front with 181bhp and the other at the rear with 221bhp. They’re electronically linked and together deliver 4WD and a prodigious power output of 402bhp. Mind you, that’s only on offer in the performance-orientated ‘Boost’ mode that would decimate the WLTP-rated 249 mile driving range if you frequently replicated the 0-62mph time of 5.7s or approached the claimed top speed of 124mph. The development team just about managed to get this car to lap the infamous 20.8km Nurburgring Nordschleife race track twice at full tilt. It’s much more realistic to think of driving in ‘Normal’ mode, which sees overall power drop to 350bhp - still enough to get you to 62mph in 6.4s. Not bad for a car that tips the scales at nearly 2.5-tonnes. Air suspension’s standard and the ride height can be adjusted, with the ‘Efficiency’ mode lowering it by 27mm and ‘Off-road’ mode (yes, there is one) raising the car by 52mm. The steering’s Q5-derived, while much of the suspension uses Q7 bits. As with other electric cars, the low centre of gravity should help in reducing body roll. The E-tron rides on an electrified version of the Volkswagen Group’s MLB Evo platform, the same underpinnings already used by the Audi Q5 - that shares similar exterior dimensions to this car. 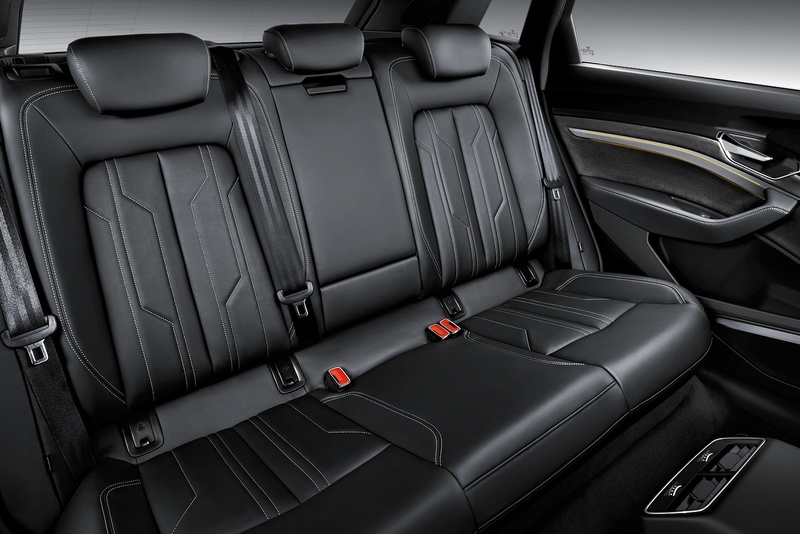 And the brand’s Q7 model - that shares similar levels of interior space to an E-tron. You’d certainly know this was an Audi if you removed the badgework; design elements like the octagon chrome-framed front grille and the elongated rear lamps connected by a light bar fit perfectly in with Ingolstadt’s current styling language. Inside, at the wheel, there’s the brand’s usual digital ‘Virtual Cockpit’ virtual instrument binnacle screen as you would expect, plus the centre-stack twin-screen infotainment set-up familiar from the A6, the A7 and the A8. As a result, this electric design shares the button-free uncluttered cabin feel that characterises the interior of those models. What else? Well like the Q5 and the Q7, the back seat is comfortable for two but not really for three. There’s a decently-sized 660-litre boot. And you get an extra little carriage compartment at the front where the engine would normally be, though it’s mostly taken up by the charging leads. You could put a laptop or a small bag there though. Prices start at £71,500 for the standard ‘55 quattro’ version. From that, you’ll be able to subtract the £3,500 grant that the government provides for full-electric vehicles. The brand is also offering better-equipped ‘Launch Edition’ and ‘Edition 1’ versions priced at over £82,000 and nearly £90,000 respectively. To give you some competitor perspective, a Jaguar I-PACE sits in the £65,000-£80,000 bracket. And a Tesla Model S costs from around £75,000. This car’s party piece is its ‘Virtual Mirrors’ - an option you’ll probably want on the entry-level model - they’re standard otherwise. Here, ‘L’-shaped pods replace ordinary door mirrors and transfer footage of what’s happening behind to screens integrated into the doors where door handles would normally be. It’ll be a real talking point for your passengers. 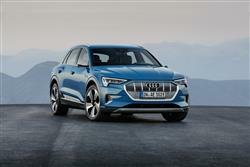 On the desirable ‘Launch Edition’, Platinum-look 21-inch Audi Sport alloy wheels provide even more impact than the already striking 20-inch examples fitted to the standard e-tron, plus the headlamp units take a step up from LED to even more intelligent Matrix LED technology enabling diversion of the light beam around surrounding traffic. 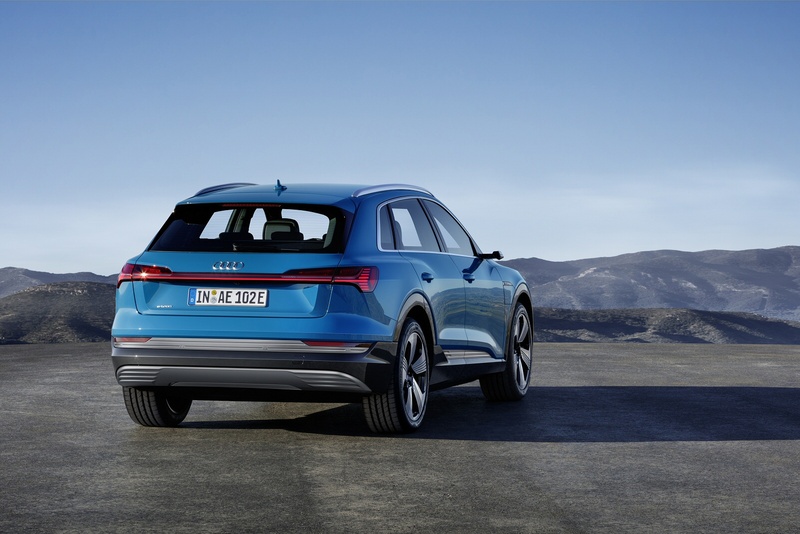 Across the range, the Audi Smartphone Interface, Audi Phonebox wireless charging, MMI navigation plus and internet-based Audi connect infotainment services are of course included as standard. Electric cars are going to be able to go considerably further once someone designs a battery that doesn’t weigh them down like a brick. This model’s 95kWh lithium-ion lump may be current state of the art but it tips the scales at 700kgs - which means it accounts for nearly a third of the weight of the whole car. Anyway, let’s get to the info you’ll need here. 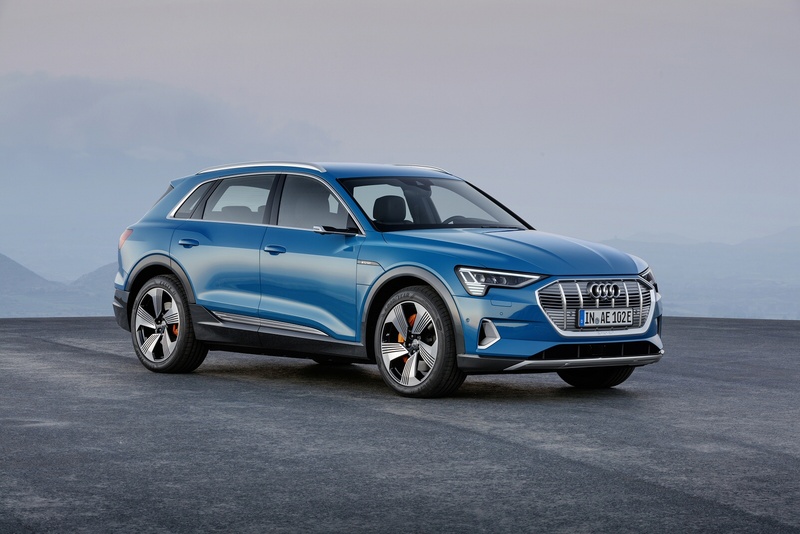 Those battery cells can be charged using a 150kW fast charger to 80% of capacity in just 30 minutes - but good luck finding one of those unless you’re at an Audi dealer. For charging at home, there’s a standard 11kW charger, which can replenish the battery in 8.5hours. 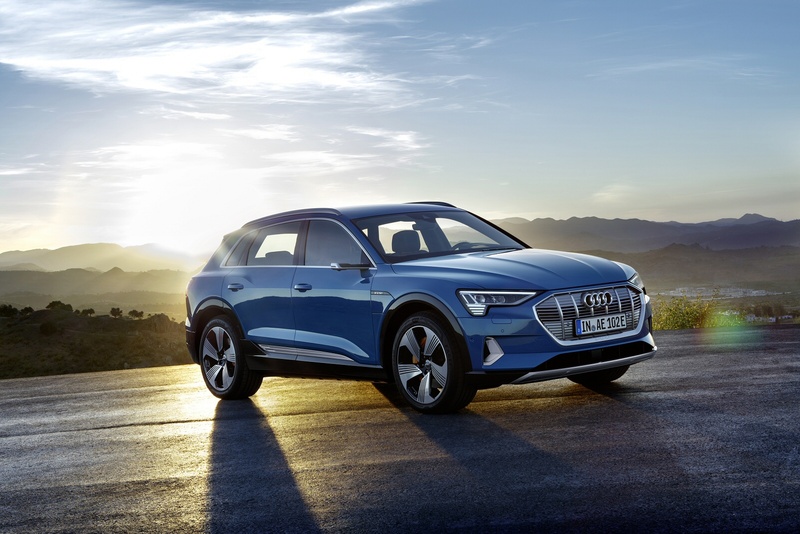 We’ve already mentioned the claimed WLTP-rated 249 mile operating range; how close you’ll get to that will have a lot to do with you proficient you get with using Audi’s energy regeneration control system, which allows you to tailor the car’s retardation depending on driving circumstances and road conditions. There’s everything from a free-wheeling mode with no retardation at all to maximum regeneration that when set, really pulls you up (by 0.3g) when you come off the accelerator. 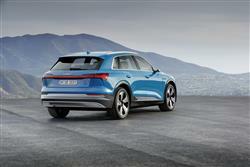 When you’re driving your E-tron with the latter feature set, you’ll hardly ever have to use the brakes at all. And in summary? 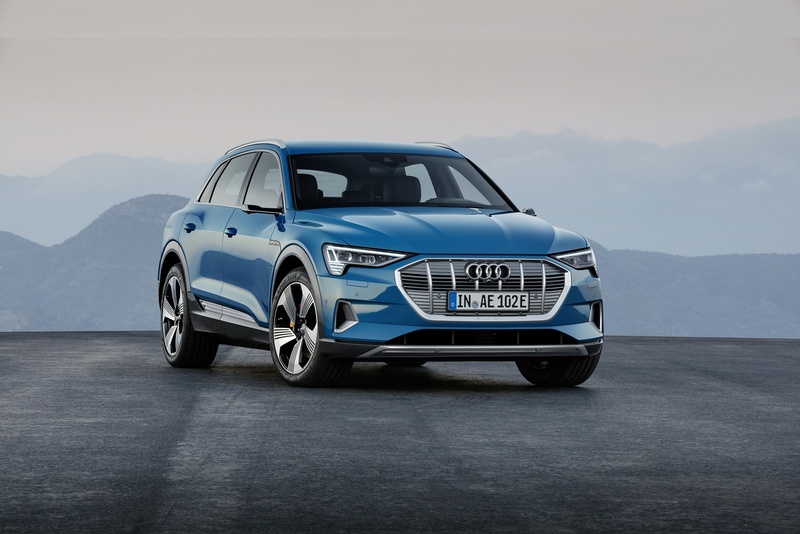 Well if you like the idea of a mid-sized or large premium-badged large SUV but can’t stomach the thought of such a vehicle’s impact on greenhouse gases, then this E-tron model will be right up your street. 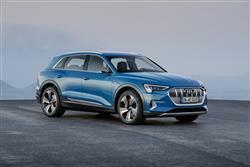 It’s a slightly more imposing thing than Jaguar’s I-PACE - and from the next technological era on from a Tesla Model S. In short, you could imagine your top management colleagues being impressed at your decision, should you take the plunge, ignore a lot of more conventional but very desirable luxury machinery and decide to run an E-tron. We still think driving range will be a dissuading issue with some buyers though. In this day and age, you should be able to take a full-electric luxury segment car of this price and be able to embark upon a five hour round trip without a moment’s thought about driving range. You still can’t do that with this Audi. But that’s not Ingolstadt’s fault; it’s where the technology currently is. Given that, this is, without doubt, state of the art.